VANCOUVER, WA – The ECFA (Evangelical Council for Financial Accountability) announced today the accreditation of His Heart Foundation of Vancouver, WA. SEDALIA, CO – The ECFA (Evangelical Council for Financial Accountability) announced today the accreditation of The Hope Haven Charitable Trust of Sedalia, CO.
YORK, PA – The ECFA (Evangelical Council for Financial Accountability) announced today the accreditation of LifePath Christian Ministries of York, PA.
JACKSON, MS – The ECFA (Evangelical Council for Financial Accountability) announced today the accreditation of Consulting Services Foundation of Jackson, MS.
FORT COLLINS, CO – The ECFA (Evangelical Council for Financial Accountability) announced today the certification of Timberline Church of Fort Collins, CO.
RICHLAND, MI – The ECFA (Evangelical Council for Financial Accountability) announced today the certification of Radiant Church of Richland, MI. WHEAT RIDGE, CO – The ECFA (Evangelical Council for Financial Accountability) announced today the certification of Crossroads Church of Denver of Wheat Ridge, CO.
WASHINGTON, IN – The ECFA (Evangelical Council for Financial Accountability) announced today the certification of Bethany Christian Church of Washington, IN. AUSTIN, TX – The ECFA (Evangelical Council for Financial Accountability) announced today the certification of Austin Stone Community Church of Austin, TX. LAKE FOREST, CA – The ECFA (Evangelical Council for Financial Accountability) announced today the accreditation of Blue Letter Bible of Lake Forest, CA. LYNCHBURG, VA – The ECFA (Evangelical Council for Financial Accountability) announced today the accreditation of Liberty Godparent Foundation of Lynchburg, VA.
YAKIMA, WA – The ECFA (Evangelical Council for Financial Accountability) announced today the accreditation of Union Gospel Mission of Yakima Wash of Yakima, WA. LAWRENCEVILLE, GA – The ECFA (Evangelical Council for Financial Accountability) announced today the accreditation of Mission to North America of Lawrenceville, GA.
NOLENSVILLE, TN – The ECFA (Evangelical Council for Financial Accountability) announced today the accreditation of eduKenya of Nolensville, TN. GERMANTOWN, MD – The ECFA (Evangelical Council for Financial Accountability) announced today the accreditation of Body & Soul Ministries of Germantown, MD. OSWEGO, NY – The ECFA (Evangelical Council for Financial Accountability) announced today the certification of Elim Grace Christian Church of Oswego, NY. WASHINGTON, DC – The ECFA (Evangelical Council for Financial Accountability) announced today the accreditation of Levant Ministries of Washington, DC. GRAND RAPIDS, MI – The ECFA (Evangelical Council for Financial Accountability) announced today the accreditation of Stephen’s Children Foundation of Grand Rapids, MI. ANNVILLE, PA – The ECFA (Evangelical Council for Financial Accountability) announced today the accreditation of Shining Light Ministries of Annville, PA.
CARROLLTON, TX – The ECFA (Evangelical Council for Financial Accountability) announced today the accreditation of Ndoto: For Africa's Future of Carrollton, TX. CHICAGO, IL – The ECFA (Evangelical Council for Financial Accountability) announced today the accreditation of Life Focus Communications of Chicago, IL. DURANGO, CO – The ECFA (Evangelical Council for Financial Accountability) announced today the accreditation of Cross Bar X Youth Ranch of Durango, CO.
ROSEVILLE, CA – The ECFA (Evangelical Council for Financial Accountability) announced today the accreditation of College Golf Fellowship of Roseville, CA. SANTA BARBARA, CA – The ECFA (Evangelical Council for Financial Accountability) announced today the accreditation of Child Hope International of Santa Barbara, CA. PLANO, TX – The ECFA (Evangelical Council for Financial Accountability) announced today the accreditation of Center for the Study of New Testament Manuscripts of Plano, TX. BETHEL, CT – The ECFA (Evangelical Council for Financial Accountability) announced today the certification of Walnut Hill Community Church of Bethel, CT.
ARLINGTON, TX – The ECFA (Evangelical Council for Financial Accountability) announced today the certification of The Church on Rush Creek of Arlington, TX. ARLINGTON, TX – The ECFA (Evangelical Council for Financial Accountability) announced today the certification of Lake Arlington Baptist Church of Arlington, TX. LOUISVILLE, KY – The ECFA (Evangelical Council for Financial Accountability) announced today the accreditation of Scarlet Hope of Louisville, KY.
SEATAC, WA – The ECFA (Evangelical Council for Financial Accountability) announced today the accreditation of Seattle Christian School of Seatac, WA. GRANDVILLE, MI – The ECFA (Evangelical Council for Financial Accountability) announced today the certification of Mars Hill Bible Church of Grandville, MI. STANWOOD, WA – The ECFA (Evangelical Council for Financial Accountability) announced today the accreditation of Warm Beach Christian Camps and Conference Center of Stanwood, WA. MISSOURI CITY, TX – The ECFA (Evangelical Council for Financial Accountability) announced today the accreditation of Health Outreach to the Middle East of Missouri City, TX. CAMARILLO, CA – The ECFA (Evangelical Council for Financial Accountability) announced today the accreditation of GDI of Camarillo, CA. MECHANICSVILLE, VA – The ECFA (Evangelical Council for Financial Accountability) announced today the accreditation of Explore God of Mechanicsville, VA.
COLUMBIA, SC – The ECFA (Evangelical Council for Financial Accountability) announced today the accreditation of Child Evangelism Fellowship of South Carolina of Columbia, SC. POWDER SPRINGS, GA – The ECFA (Evangelical Council for Financial Accountability) announced today the accreditation of Calvary Children's Home of Powder Springs, GA.
UNIVERSITY CITY, MO – The ECFA (Evangelical Council for Financial Accountability) announced today the certification of U-City Family Church of University City, MO. SAINT PAUL, MN – The ECFA (Evangelical Council for Financial Accountability) announced today the accreditation of Together for Good of Saint Paul, MN. LOWVILLE, NY – The ECFA (Evangelical Council for Financial Accountability) announced today the accreditation of Identity Mission of Lowville, NY. CLARKSVILLE, TN – The ECFA (Evangelical Council for Financial Accountability) announced today the accreditation of Mission Voice Network Ministries of Clarksville, TN. DUBOIS, PA – The ECFA (Evangelical Council for Financial Accountability) announced today the accreditation of Won By One To Jamaica of Dubois, PA.
GRAND RAPIDS, MI – The ECFA (Evangelical Council for Financial Accountability) announced today the accreditation of Servants Center of Grand Rapids, MI. NEW YORK, NY – The ECFA (Evangelical Council for Financial Accountability) announced today the accreditation of Redeemer City to City of New York, NY. ATLANTA, GA – The ECFA (Evangelical Council for Financial Accountability) announced today the accreditation of Impact France of Atlanta, GA.
NOBLESVILLE, IN – The ECFA (Evangelical Council for Financial Accountability) announced today the accreditation of Hands of Hope Adoption and Orphan Care Ministry of Noblesville, IN. MUSCATINE, IA – The ECFA (Evangelical Council for Financial Accountability) announced today the accreditation of Making Jesus Known of Muscatine, IA. CARMEL, IN – The ECFA (Evangelical Council for Financial Accountability) announced today the accreditation of Ascent 121 of Carmel, IN. 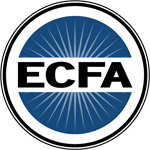 FAYETTEVILLE, AR – The ECFA (Evangelical Council for Financial Accountability) announced today the accreditation of Center for Mission Mobilization of Fayetteville, AR. BOULDER, CO – The ECFA (Evangelical Council for Financial Accountability) announced today the certification of Calvary Bible Evangelical Free Church of Boulder, CO.
ELMHURST, IL – The ECFA (Evangelical Council for Financial Accountability) announced today the certification of Elmhurst Christian Reformed Church of Elmhurst, IL. LONGVIEW, TX – The ECFA (Evangelical Council for Financial Accountability) announced today the certification of Pathway Church of Longview, TX. FORT WORTH, TX – The ECFA (Evangelical Council for Financial Accountability) announced today the certification of Hope Church of Fort Worth, TX. MECHANICSVILLE, VA – The ECFA (Evangelical Council for Financial Accountability) announced today the accreditation of Hope For Families Worldwide of Mechanicsville, VA.
SABETHA, KS – The ECFA (Evangelical Council for Financial Accountability) announced today the accreditation of Emmaus University of Sabetha, KS. PRINCETON, IL – The ECFA (Evangelical Council for Financial Accountability) announced today the accreditation of DOVE Uganda Children's Fund of Princeton, IL. TURLOCK, CA – The ECFA (Evangelical Council for Financial Accountability) announced today the certification of New Life Christian Center of Turlock, CA. NAMPA, ID – The ECFA (Evangelical Council for Financial Accountability) announced today the certification of Grace Bible Church of Nampa, ID. ALLENTOWN, PA – The ECFA (Evangelical Council for Financial Accountability) announced today the certification of Faith Evangelical Free Church of Allentown of Allentown, PA.
RICHARDSON, TX – The ECFA (Evangelical Council for Financial Accountability) announced today the accreditation of For the Nations Refugee Outreach of Richardson, TX. SNOQUALMIE, WA – The ECFA (Evangelical Council for Financial Accountability) announced today the certification of Church on the Ridge of Snoqualmie, WA. WEST CHICAGO, IL – The ECFA (Evangelical Council for Financial Accountability) announced today the certification of Wheaton Bible Church of West Chicago, IL. SENECA, SC – The ECFA (Evangelical Council for Financial Accountability) announced today the certification of Foothills Community Church of Seneca, SC. CHICAGO, IL – The ECFA (Evangelical Council for Financial Accountability) announced today the accreditation of Mission Quest of Chicago, IL. MIDLAND, TX – The ECFA (Evangelical Council for Financial Accountability) announced today the accreditation of His Voice Global of Midland, TX. DALLAS, TX – The ECFA (Evangelical Council for Financial Accountability) announced today the certification of GFM Ministries of Dallas, TX. SAN DIEGO, CA – The ECFA (Evangelical Council for Financial Accountability) announced today the accreditation of Urban Youth Collaborative of San Diego, CA.